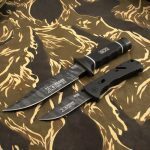 SOG Knives' 30th anniversary edition of the Trident folding knife boasts a specially engraved clip point blade with a textured tigerstripe finish. 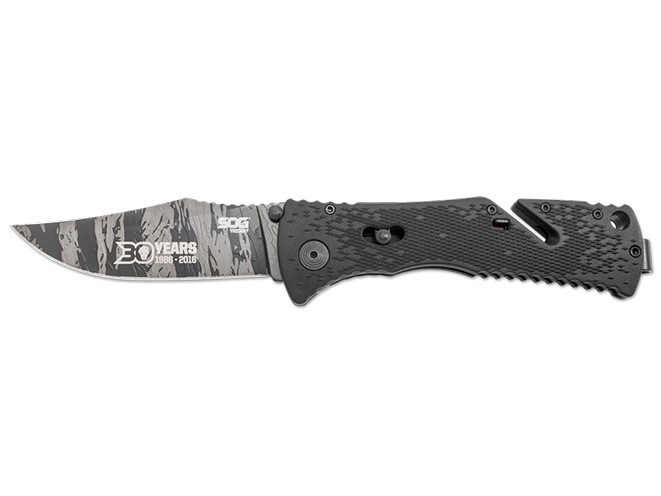 SOG Knives is releasing a 30th anniversary edition of its Trident folding knife. 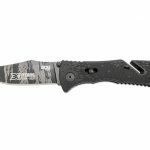 This knife boasts a clip point, AUS-8 stainless steel blade with a length of 3.75″ (overall length is 8.5″), a textured tigerstripe finish, and a special engraving indicating the 30th anniversary. Individual serial numbers are included as well. The black handle is made of glass-reinforced nylon. 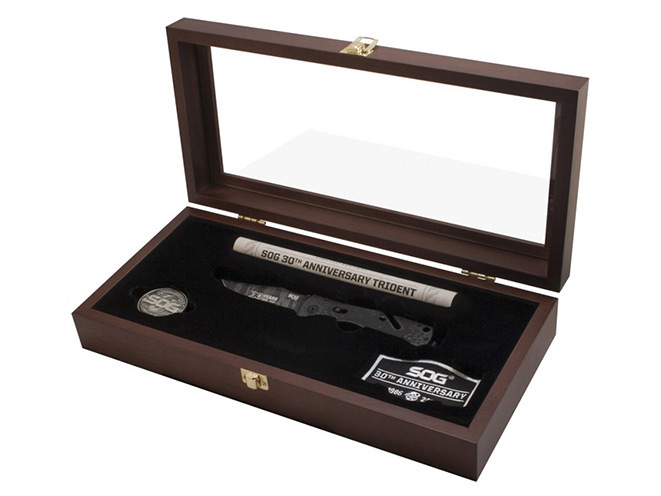 The 30th anniversary Trident comes in a stained wood box with a custom challenge coin, certificate of authenticity, and a 30th anniversary patch. 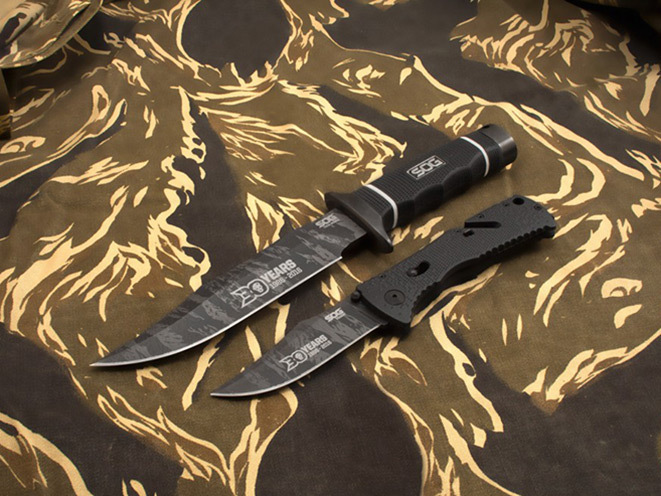 Only 300 of these knives are being produced, so get yours fast! The suggested retail price is $166.00. For more information, visit http://www.sogknives.com. 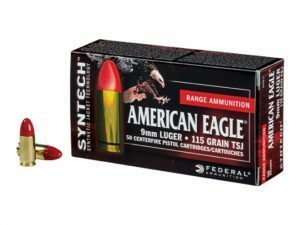 Federal Premium Ammunition is unveilings its new all-new polymer-encapsulated Syntech bullet for 2016.